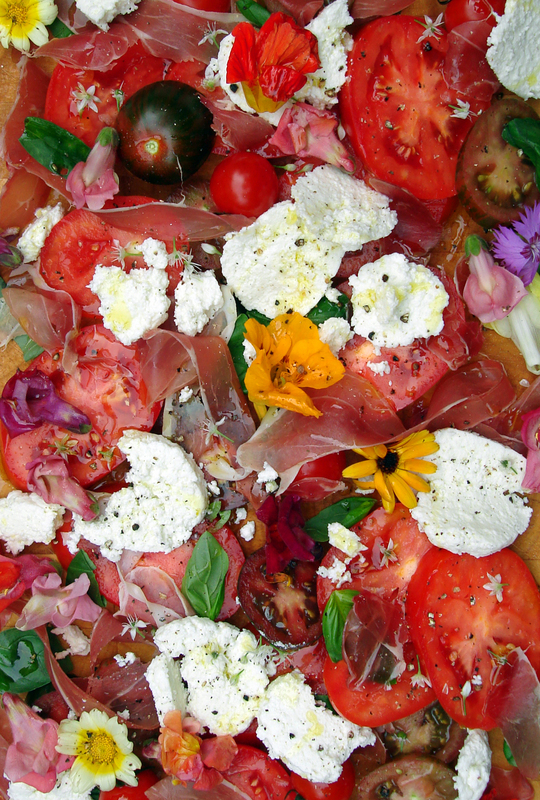 Homemade Mozzarella | What's for tea tonight dear? After four years of selling cheese, frankly it felt like high time I tried my hand at making some. I had been warned, by no less an authority than writer, columnist, restaurateur, TV chef, fish fight champion, and all round food hero Hugh Fearnley-Whittingstall that “making mozzarella is more difficult than today’s other cheeses”. Pah! What does he know? I’ve read the recipe, and I once saw a short video of skilled Campania artisans with decades of know how making the stuff. So what that I’ve never made so much as a simple strained curd before – how hard can it be…? The vegetarian rennet had been sitting in the cupboard for a while, glaring at me with the resentment born of neglect every time I reached for the sea salt, and the award-winning Laverstoke Park have just opened a butchers in Twickenham which means ready access to buffalo milk. The only thing missing was citric acid, which my dad always had hanging around at home for his wine making, so I guessed it couldn’t be that hard to come by. What I’d missed in the follow-up correspondence from Hugh’s article, until the Anthropologist pointed it out to me, was that most household name chemists now refuse to stock the stuff because it’s used by dealers to ‘cut’ cocaine. And so it proved in my local Boots who “haven’t had that here for some time”, but who recommended, in hushed tones, and with much furtive sideways glancing, that I might try the small independent chemist round the corner. Yikes! Was this a cunning test? Could I ask for two, ‘one for a friend’? Or would that be classed as intent to supply?! I left with just the one, the suspicion that my name was already being placed on some sort of register, and nagging doubts about what my dad had been up to all those nights in the kitchen with his demijohns. If you have trouble tracking any down it might be easier just to ask your friendly neighbourhood drug dealer. Back in my crack den – sorry, kitchen – I got out another toy I’ve been dying to play with, my electronic food thermometer probe thingy, which would have been used for long slow roasts by now if my oven could be relied on to maintain an even low temperature [It can’t]. Happily the device is just as handy for measuring the precise milk and whey temperatures needed for this task, which by now was starting to feel more like a chemistry experiment than the production of food. And I was rubbish at chemistry at school. I’m rubbish at seeing blindingly obvious omens too. Mozzarella is a pasta filata or stretched-curd cheese. In other words the curd junket is heated in hot water or whey until elastic and pliable, and then stretched and folded. This creates long filaments of protein which when melted give the stringy cheese effect so beloved of pizza advertisers everywhere. But to achieve this you need a smooth, coagulated curd junket which I can now tell you won’t get if you don’t pay close attention to the instructions supplied with your rennet. Hugh’s recipe stipulated a quarter teaspoon of rennet, and looking back it seems obvious that he was talking about powdered animal rennet. My liquid vegetable version says ten drops per pint of milk, but of course I hadn’t read that and ended up with about that amount in roughly four and a half pints. So the curds I needed to heat were not smooth but crumbly, and what should have been a gentle stretching and folding process was more akin to ‘pulling roughly apart and squashing hopefully back together’. Some white-ish, fairly bland balls of vaguely mozzarella like material were the result. But was it a complete disaster? My guests, who included the Shopkeeper’s Sister and her Spouse, made appreciative noises about the effort which had been gone to [though I made sure to serve some shop bought stuff on the side], and no one got sick or died, which is generally regarded as a plus when cooking. And it was a first attempt, and therefore a learning experience. Take recipe, or copy thereof, to shop to avoid repeated trips for more milk. Find source of citric acid which doesn’t suggest criminal intent, or result in arrest. Use more salt in the whey poaching bath. Sprinkle with further salt once the cheese is cut. I’ll let you know how the next attempt turns out. In the meantime if you want to try this or one of Hugh’s other homemade cheese recipes you can find them here. This entry was posted in Recipe, Technique, Vegetarian [or Vegetarian Version], Writing and tagged buffalo, Campania, cheese, citric acid, curd, homemade cheese, homemeade mozzarella, Hugh Fearnley-Whittingstall, Laverstoke Park, milk, Mozzarella, rennet, whey. Bookmark the permalink. I tasted a slice when Philip entertained me for lunch. It wasn’t that bad. Our local Whole Paycheck (oops I mean Whole Foods) had a mozzeralla kit which I was almost tempted to buy. It had everything I needed for two batches, and was at an introductory price. I hummed and hah’ed about the purchase. And in the end, sanity reigned, and I moved to the cheese counter for some closer to the consumption stage. Roving Jay, you can buy the individual ingredients relatively cheaply on-line, but I did get my vegetarian rennet from Whole Paycheck! Pingback: Pheasant and Raisin Ravioli | What's for tea tonight dear?